please wear like daw aung san suu kyi .myanmar traditional dress is best to war in your final stage . pls do not forget to use peacock image in your dress. tell your fashion designer to do that. why do you try to force her to wear your Burmese dress. she is Pa’ O ethnic. Don’t you see she is waring her traditional dress and she already has Dragon image to represent her identity. how beautiful she is! Yes i am agree with you Ma Thazin. She is really beautiful and full of dignity with her Pa’O traditional dress rather than Ba-Mar dress. Htay Aung is still crazy for Ba-mar dress even someone was competed in international level. 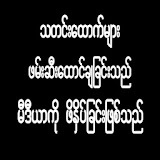 အိုး…………လန္းတယ္ ဗ်ာ စာသားေလးေတြ ……… ရွယ္ခြင့္ျပဳပါ…………ေနာ္……….